What does the word perseverance mean to you? Perhaps you haven’t had to endure a lot of life’s ups and downs. Perseverance might not mean much to you. Or perhaps, you’ve been put through the wringer so to speak. In that case, perseverance means a whole lot to you. It has a definition that you might not even be able to put into words. Whatever the case, this word means different things to different people at different stages of life. Thank God for his impartiality. He doesn’t have favorites and shows the same love to the person in the pit as well as the person on the mountain top. This is why we must all learn how to persevere in the faith, regardless of life’s circumstances. We must endure hardship and keep the faith so that a lost and dead world can see Jesus through us, no matter our current situation. If we as Christians throw in the towel at the first sign of trouble, then we’re not showing the world that Christ strengthens us. This doesn’t mean we can’t get emotional or passionate about our current circumstance. But it does mean that our emotions and passion are rooted and guided by God’s word. Our great commission is to go and tell the world about the good news of Jesus Christ. We can be just as effective in the valley or on the mountain top. It’s a matter of faith and diligence to always be willing to praise His name. The Bible isn’t silent on this topic either. There are numerous stories and scriptures on perseverance guiding us in this area. From Adam and Eve in the garden to Jesus on the cross, the Bible is packed full of people enduring hardship and continuing in the faith. We can use these examples to help us as we navigate life’s troubles. We can also lean on each other for help. As Christians, we’re tasked with loving and caring for the brethren. We must help each other through this thing we call life. In all of its glory and grit, we should lean on each other for guidance and encouragement. We’re not meant to travel this road alone. 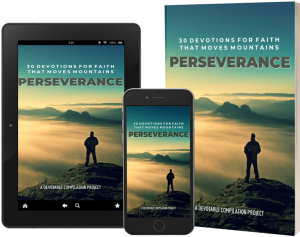 There are numerous scriptures and devotions on perseverance, but Devotable has compiled a devotional on perseverance from various authors about various struggles in an effort to help guide people through this life journey. From illness, death, parenthood, relationships, and more, it helps to know that you’re not alone in this journey. We have friends and Christian brothers and sisters that can help us, come beside us and put their arm around us. 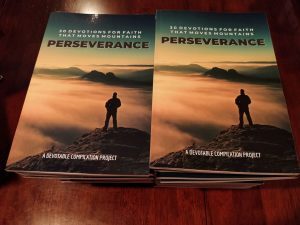 So for those of you that are hurting and need encouragement to persevere through these trails, here are 10 scriptures on perseverance to help guide you. Let the Bible speak to you and the Holy Spirit strengthen your faith as you read His word. 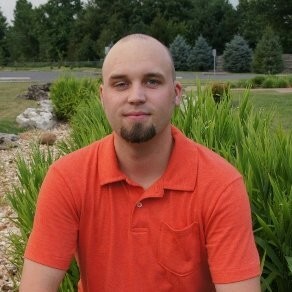 Landen is a web developer by trade and and online entrepreneur by passion. He is the owner and creator of Devotable, an online Christian daily devotion project. Together with over 100 talented writers, they create inspiring devotions that help encourage believers and share the good news of Jesus Christ daily. Perseverance is something we could all use a little more of. It’s something I’m trying to emphasize with my kids. They are in their young teens and I think just starting to get to the age where they have to push a little harder and stick with things a a little more than when they were younger. It’s definitely a challenge in our instant gratification world! Thanks so much for sharing and being a part of this! Thank you for all you have done to make it happen! As a runner, you know I search out verses on perseverance. Love this! Checking out the book now, Lauren. Thank you and blessings. Focusing on living a Kingdom First Life, by faith, amidst the turmoil. Praying that for you right now, Susie. Landen, I can’t wait for the book to come out. It is such a privilege to be included. You picked a fantastic topic. Perseverance is a windy road, but with God, we can do it well. Great picks on the verses above. Thank you so much, Maree! So glad to know you are in this with me! These are great verses, Landen. I enjoyed this encouragement today. I so need to be reminded of persevering…terrific post, thank you! Lauren, this statement is a perfect reminder that our choices and actions always have an impact on someone and can mirror Christ in some way…’If we as Christians throw in the towel at the first sign of trouble, then we’re not showing the world that Christ strengthens us.’ Appreciate the challenge to persevere because there is something waiting for us on the other side. Weary in well doing, what I have to keep in mind. Thank you for reading Rebecca. Tp persevere can sound like a chore, but I really feel that God intends for us to persevere with joy. Thanks for sharing these great encouragements from Scripture to persevere! I appreciate you stopping by, Karen. Thank you for putting together such a useful list of scriptures that encourage us to endure and finish the race with enthusiasm. I’ll be sharing the book with others for sure!